With its modest height of 132 centimetres locker Aquarius HVL helps to give a spacious feel to every interior. The body is finished in white. The doors are available as standard in white, black, light grey and medium grey. The models come with black metal plinths and adjustable feet. 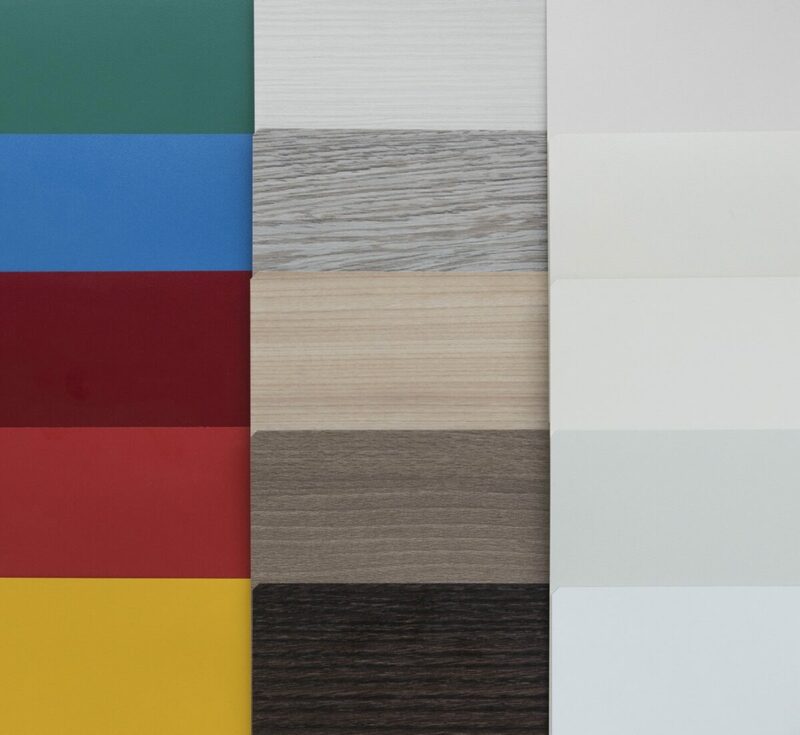 In addition to the standard colours white, black and light or mid-grey, the doors can be supplied in more than 100 different wood effects and Pfleiderer solid colours. You are free to combine these at will. 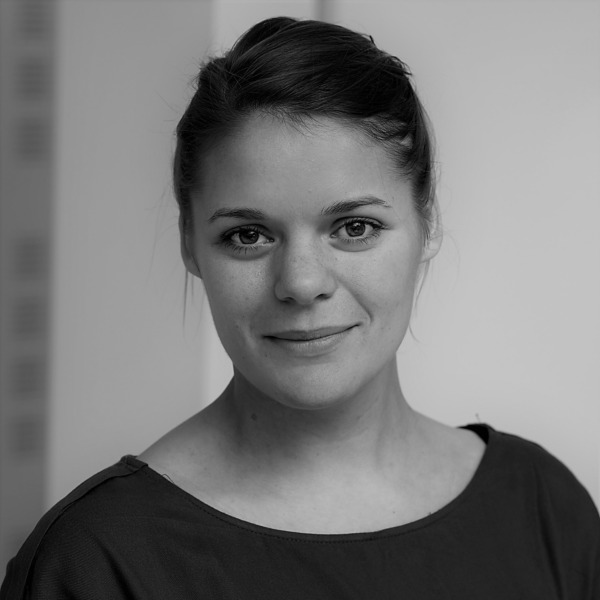 Discover the infinite possibilities in ‘downloads’. 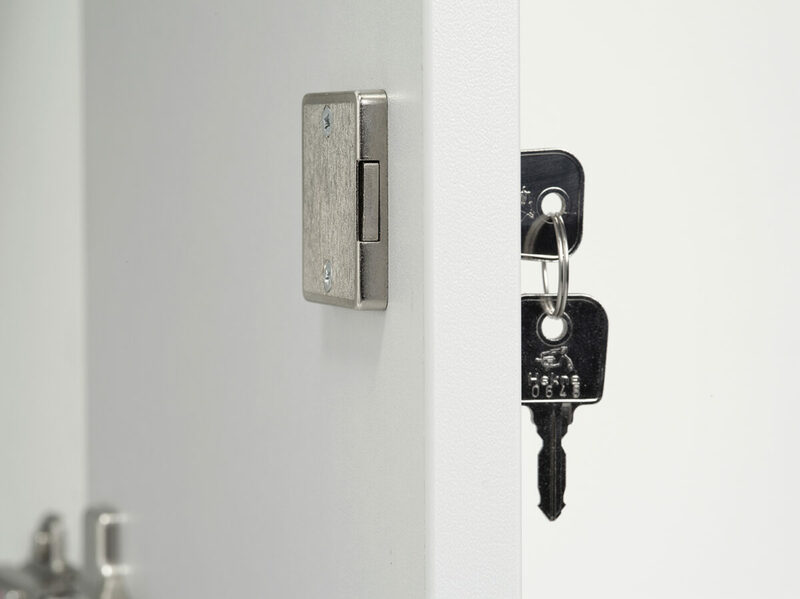 The lockers are equipped as standard with a cylinder lock. Tip: order a master key so that you can open all the lockers easily. Want to avoid the bother of lost keys? Opt for a Sudhaus combination lock, Mauer pin code lock, VECOS management system or any other type of lock. More is possible than you might imagine. 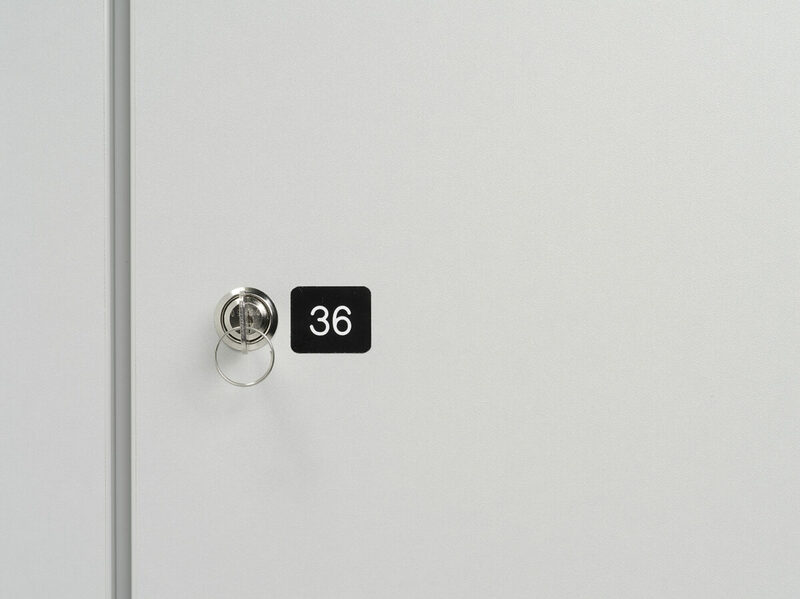 Add the finishing touch to the lockers with a number tag or name plate holder. 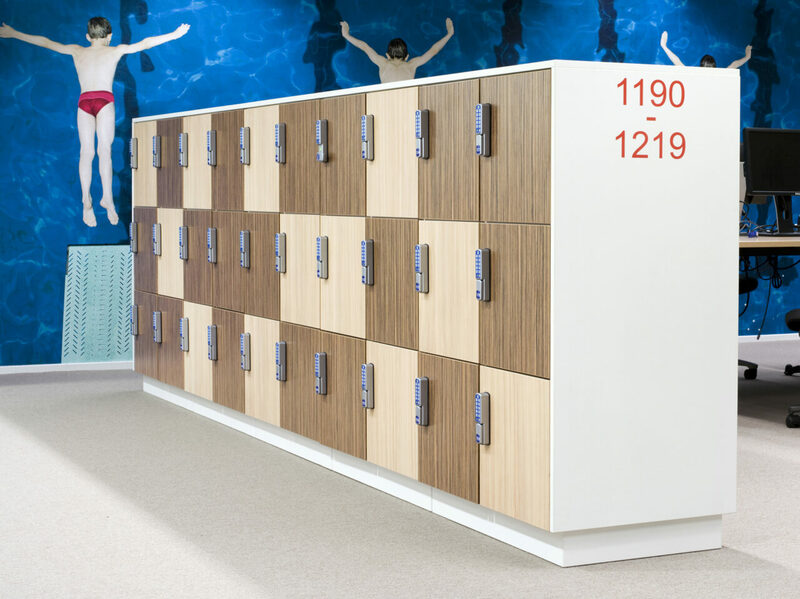 Need free-standing lockers? We have panels for the side, top and rear. Good communication is essential to any working environment. Orderly mailboxes, made of wood, ensure that important information always gets to the right place. Aquarius HP is as standard available with four, five or six mailboxes, and in various colours. Can be placed on a steel frame or wall support. Aquarius HV forms part of the versatile locker series Aquarius H. The sleek body is finished in white. The doors are available as standard in white, black, light grey and medium grey. Doors and side panels are available for a supplement in approximately 150 different colours and wood effects. The models come with black metal plinths and adjustable feet. Clothing, bags and other items can be neatly stored in the Aquarius HG. These clean design wooden clothing lockers have a handy clothes bar coat hangers and ventilation holes. The doors and side panels are available in more than 100 wood effects and Pfleiderer solid colours. If you want to safely store your bag or coat then Aquarius SG provides the solution. 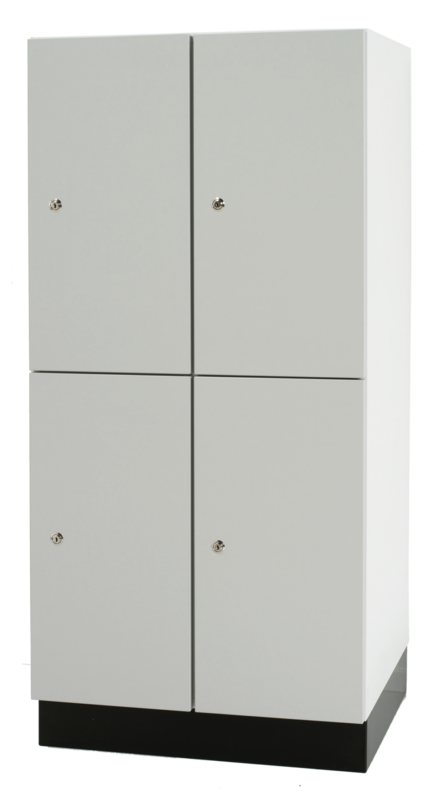 The cloakroom locker is made of robust steel and is as standard available with cylinder locks or padlocks. 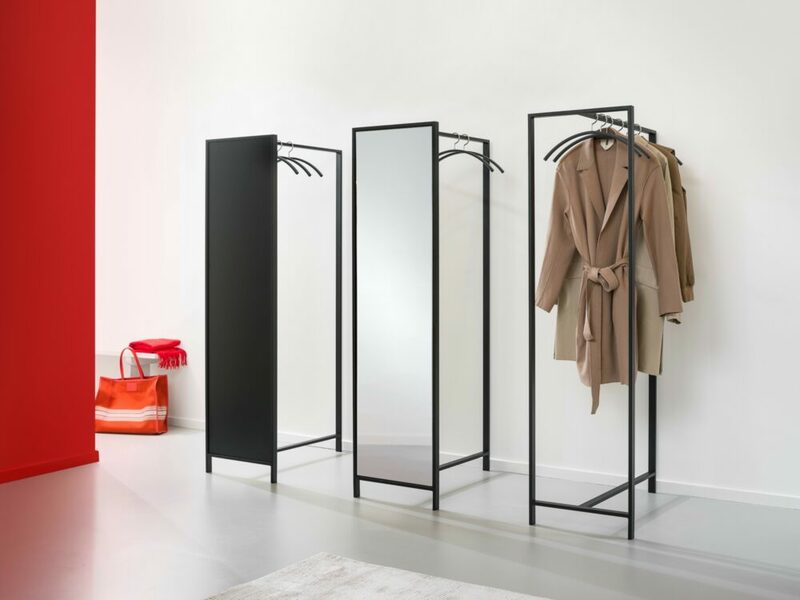 The lockers are available on a plinth, a frame or a combination of frame and bench. The body is available in over twenty standard RAL colours. The accompanying hanger rod has two sliding hooks. Renewed design, new dimensions! Aquarius SV forms part of the locker series Aquarius S. With these steel lockers the emphasis lies on function. The series is nonetheless also versatile. The comprehensive series is available in over twenty standard RAL colours.